Generally, haunted houses don't scare me. I am incredibly adept at separating myself from the atmosphere, and my brain is constantly sending me signals of "hey, just so you know, this isn't real," almost like it's scoffing at me like an uninterested hipster. It's also the reason that I don't really watch too many scary movies. And with the added rule that they're not allowed to touch you, the whole aspect of possible danger is completely shattered for me. Granted, it's probably for the best that they don't touch me. I tend to get pretty scrappy when cornered, and my fight or flight reflex leans very heavily to the fight side. I wouldn't want to leave a haunted house with a lawsuit, so I steer clear of the haunted houses you have to sign a waiver to enter. Naturally, I was a bit skeptical when I saw that Zombie Apocalypse Live was coming into town again. I had purchased a ticket the year prior, but I hadn't been able to make it due to extenuating circumstances and ended up giving my ticket to someone else. It looked like a blast, but I was still slightly concerned that it would be more of the same silliness that you can find at a haunted house. Now, Goose is a Marine, so he is no stranger to tactical training (e.g. killhouses). At first, I was concerned that it might be boring for him or, worse, upsetting, but his face absolutely lit up when I mentioned it. So it was decided: we were going. Goose and Human Face Mask Zombie posing by a zombie dummy. At the muster point, we stood in a line with the rest of our team, and the above zombie wandered around, slipping between people and making god-awful noises in an effort to scare as many people as possible. I just ended up having one-sided conversations with him whenever he got close. "Nice mask you've got there. Is it real human?" "Well, good job on it. I--"
"Now, I'm not entirely sure that was necessary, sir." From that point, we continued onward to be briefed for our mission. We were also handed our assault weapons, re-purposed air rifles with lasers, or at least that's what it looked like to me. What do I know (hint: very, very little)? The ambiance was well-executed. 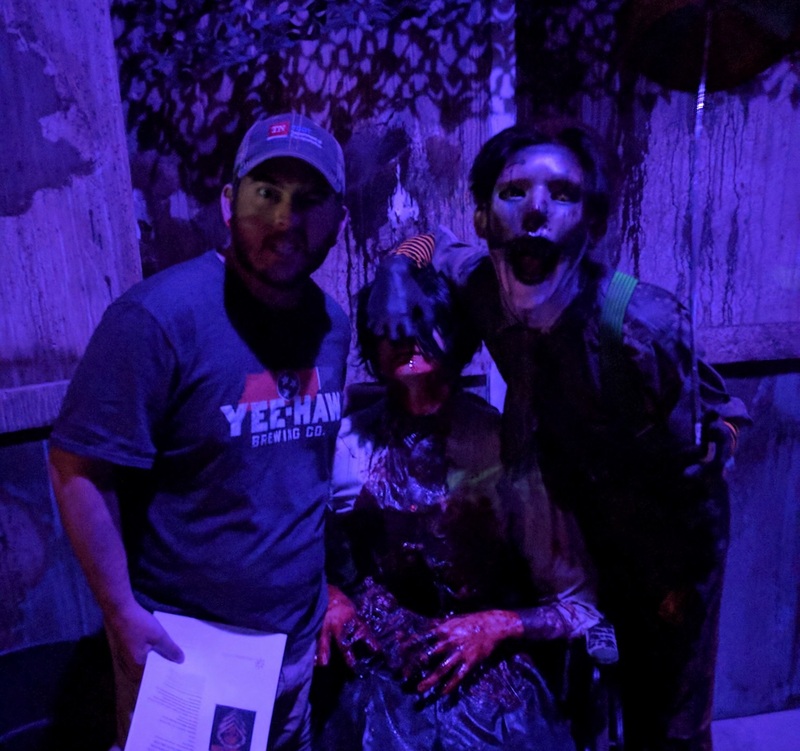 Lots of zombies strewn throughout the course, various props positioned in ways that created some nice jump scares, music and ambient noises such as screams loud enough to cloud your mind. Only problem was we kept running into the group in front of us. Due to the demand of the event, they allowed too many people to go into the game, and they ended up with a pretty severe backlog. Other than that, it was a fun, adrenaline-pumping experience, and I'd recommend signing up for the very first couple of slots just to make sure you don't run into anyone and take you out of the experience. 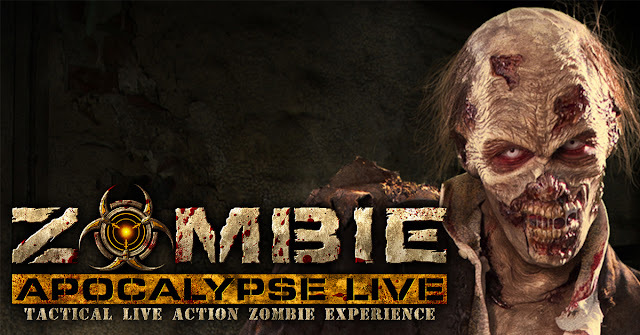 Have any of you been to Zombie Apocalypse Live or something similar? What was it like?